This time around, the musical proposition goes from the north to the south of the country, with this film-concert developed in partnership with Casa da Música. On one hand, you have the original music, composed by three resident musicians of the Educational Service of Casa da Música, António Serginho, Óscar Rodrigues and Pedro Cardoso (Peixe). On the other, films of two of the greatest silent movie heroes: Charlie Chaplin and his film Charlot on Peace Street and Buster Keaton with the film One Week. 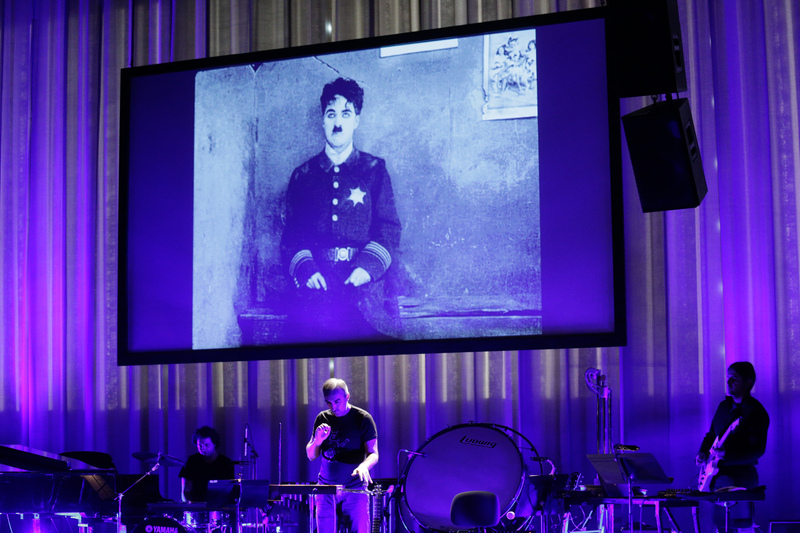 Inside the theatre, a trip through electronic sonorities combined with classical instruments such as the piano and punctuated by visual elements that will remind the audience of the cinema of the beginning of the last century. Poland is so much fun! We present a special screening made up of animated short films for kids, produced in Poland in the 60s. The motto of IndieJunior this year is to dive in, so we invite viewers to immerse themselves in animation techniques as varied as surprising, as well as an aesthetic that makes it possible for adults to travel back to their childhood, sharing this memory with the little ones. A tribute to the remarkable Polish animation cinema from the 1960’s with six charming films recently restored by the Polish National Film Archive – Audiovisual Institute (FINA) and Studio Miniatur Filmowych.